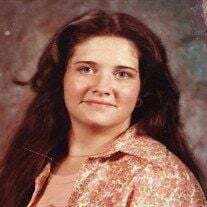 Patricia “Pat” Lynn Eaton, age 61, passed away February 2, 2019, at Pardee UNC Health Care in Hendersonville, N.C.
She was born in Laurens and was the daughter of the late William A. Snow Sr. and Mildred Wells Snow. Pat was a caring wife, mother and homemaker. She was of the Christian faith and enjoyed playing the piano. She is survived by her husband, Russell Gray Eaton of the home; her two sons, Eric Jason Nichols (Jessica) of Fountain Inn and Joshua Gray Eaton (Paige) of Hendersonville, N.C.; brother, Billy Snow (Angie) of Laurens; three grandchildren, Tyler Nichols, Catara Elizabeth Nichols and Landen Gray Eaton. Memorial services will be conducted Wednesday, February 6, at 2 p.m. at the Believers Assembly Holiness Church.